1719 – Daniel Defoe’s fictional work The Life and Strange Adventures of Robinson Crusoe was published. The book, about a shipwrecked sailor who spends 28 years on a deserted island, was based on the experiences of shipwreck victims and of Alexander Selkirk, a Scottish sailor who was marooned on a small island ( Juan Fernández Archipelago) 420 miles off the coast of Chile from 1704-1709. 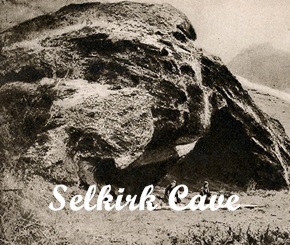 Much of Selkirk’s time on the island was spent in the cave shown above, although he also built two small huts at a higher elevation. 1792 – Highwayman (robber) Nicolas Jacques Pelletier became the first person under French law to be executed by guillotine. The crowd expressed their disgust with the new execution method, but not for reasons you might expect. The problem, as they saw it, was the guillotine was too swift and “clinically effective” to provide proper “entertainment,” as compared to previous execution methods, such as hanging, death-by-sword, or breaking at the wheel. But over time, the executions became popular entertainment and attracted huge numbers of spectators. A group of female citizens known as the tricoteuses (“knitters”) became regulars, functioning as macabre cheerleaders as they watched while knitting. 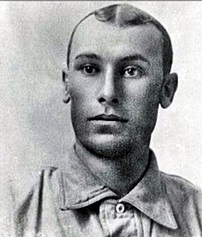 1901 – Erve Beck of the Cleveland Blues hit the first home run in American League history. 1901 – New York became the first state to require auto license plates. The plates were made by individual owners (with the owner’s initials) rather than being issued by state agencies. It wasn’t until two years later, in 1903, that the first state-issued license plates were distributed in Massachusetts. 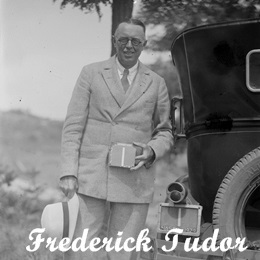 The very first plate, featuring the number “1,” was issued to Frederick Tudor. 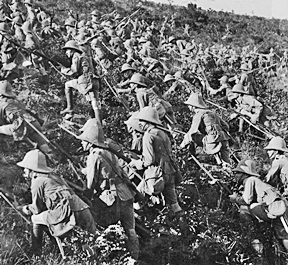 1915 – The invasion of the Turkish Gallipoli Peninsula by British, French, Indian, Newfoundland, Australian and New Zealand troops, began with landings at Anzac Cove and Cape Helles. The allies aim was to drive the Ottoman Turkish Empire out of World War I. The Turkish forces were well prepared to meet them, however, as they had long been aware of the likelihood of just such an invasion. During the next three months, the Allies made only slight gains off their landing sites and sustained terrible casualties. A new British landing at Suvla Bay in August resulted in even more losses. In January 1916, Allied forces staged a full retreat from the shores of the peninsula, ending a disastrous campaign that resulted in 250,000 Allied casualties and a greatly discredited Allied military command, including young Winston Churchill, who resigned as first lord of the Admiralty. 1945 – April 25, 1945 — Elbe Day — marks one of the turning points not only of World War II, but of world history. Eight Russian armies completely encircled Berlin. 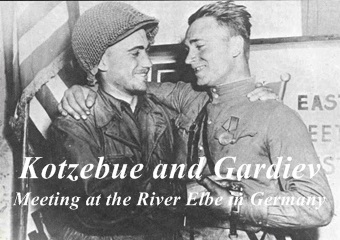 When they inked up with the U.S. First Army patrol; first on the western bank of the Elbe River (where First Lieutenant Albert Kotzebue met Russian Lt. Col Alexander Gardiev), and then later at Torgau, Germany was, for all intents and purposes, Allied territory. Statements were released simultaneously in London, Moscow, and Washington that evening, reaffirming the determination of the three Allied powers to complete the destruction of the Third Reich. In Moscow, news of the link-up between the two armies resulted in a 324-gun salute. In New York City, crowds burst into song and danced in the middle of Times Square. 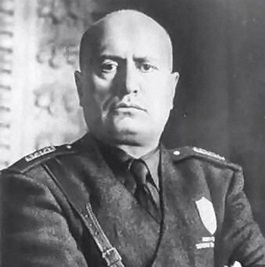 1945 – With allied troops advancing into northern Italy, and the collapse of Benito Mussolini’s puppet Italian Social Republic imminent, he and his mistress Clara Petacci set out for Switzerland, intending to board a plane and escape to Spain. 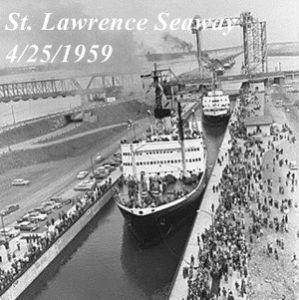 1959 – The St. Lawrence Seaway, linking the Atlantic Ocean and the Great Lakes, opened for shipping. It was not an easy process. The project that had been supported by every administration from Woodrow Wilson through Dwight Eisenhower. 1976 – During a game at Dodger Stadium, two protesters, William Thomas and his 11-year-old son, ran into the outfield and tried to set fire to an American flag. 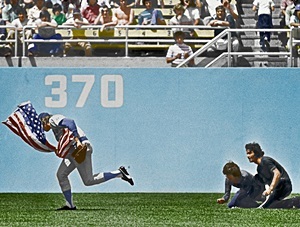 Rick Monday, an outfielder with the Chicago Cubs, dashed over and grabbed the flag to thunderous cheers. 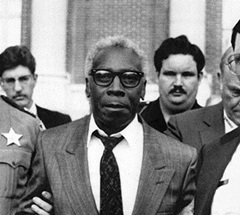 1989 – James Richardson walked out of a Florida prison 21 years after being wrongfully convicted of killing his seven children by lacing their lunches with pesticide. Special prosecutor Janet Reno agreed to the release after evidence showed that he had been framed by authorities and gross misconduct by the prosecutor. In addition, neighbor Bessie Reece, the woman who had been babysitting Richardson’s children while he and his wife were away working, had confessed to the crime to a nursing home employee. Reese – mentally incompetent with Alzheimer’s disease at the time of her “confession” – had been on parole at the time of the murders for killing her ex-husband with poison. 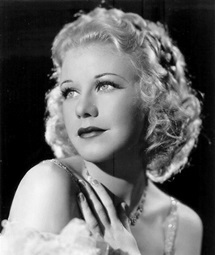 1995 – Actress Ginger Rogers died of a heart attack at the age of 83. She won the Academy Award for Best Actress in Kitty Foyle, but was best known for the 10 films she made with her dance partner Fred Astaire. 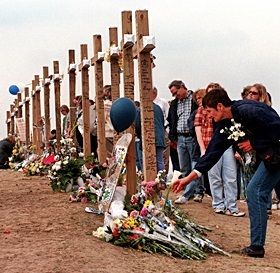 1999 – More than 70,000 mourners gathered in Littleton, Colorado to honor the victims of the Columbine High School massacre five days earlier. 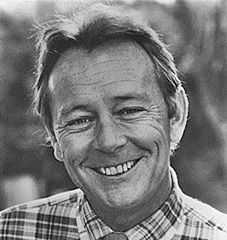 2007 – Robert George Pickett, much better known as Bobby “Boris” Pickett, died from leukemia at the age of 69. Pickett’s Boris Karloff impression propelled the Halloween novelty song Monster Mash to the top of the charts in 1962, and made him one of pop music’s most enduring one-hit wonders. 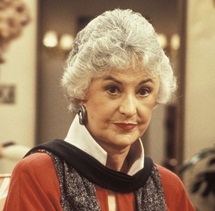 2009 – Actress Bea Arthur died of cancer at the age of 86. She began her career as a Broadway actress, winning the 1966 Tony Award for Best Featured Actress in a Musical for playing Vera Charles in Mame. She is, however, best known for playing Maude Findlay on All In The Family and Maude, and Dorothy Zbornak on The Golden Girls.